A co-op board interview can be among the most stressful aspects of purchasing a home in New York City. The application process requires revealing all of your financials, submitting a lengthy board package, and meeting with the board to answer personal questions—after which the board can turn you down without giving a reason! The good news is that getting to the interview means the board has already reviewed your financials and considers you a pretty good candidate for living in their building. To help you ace the final hurdle—the co-op board interview—we’ve prepared a co-op board interview guide complete with commonly asked co-op interview questions. Submit an impeccable board package. Your agent’s expertise in submitting board packages will make this part of the application process easy. Know your finances. Your board package has every detail of your finances dating back years, so it will require your review to be sure you understand your finances in and out. Scrub your social media. If you or anyone in your family has a public social media account, be sure to scrub it of any content that could be seen as controversial. Board members may browse your list of friends for common connections or red flags, so you may want to make the list private as well. Coordinate responses with your partner. You and your partner should be on the same page about answers you will give. Decide in advance who will answer questions about which topic. Prepare your pet. For buildings that accept dogs, the board will want to know whether your pup is well behaved and quiet. It is a good idea to have your dog walker and current neighbor write a letter of recommendation about your pup’s good behavior. The board may require an interview with the dog at which time you can expect them to ring a doorbell and see how your dog reacts. If you know your dog’s behavior might be less than stellar, hire a trainer to brush up on manners. If your pup would be a good candidate, get a certification through the American Kennel Club Canine Good Citizen Program to show the board that you are a responsible owner and your dog is well-mannered. Dress well, arrive on time, know your audience, and make eye contact. 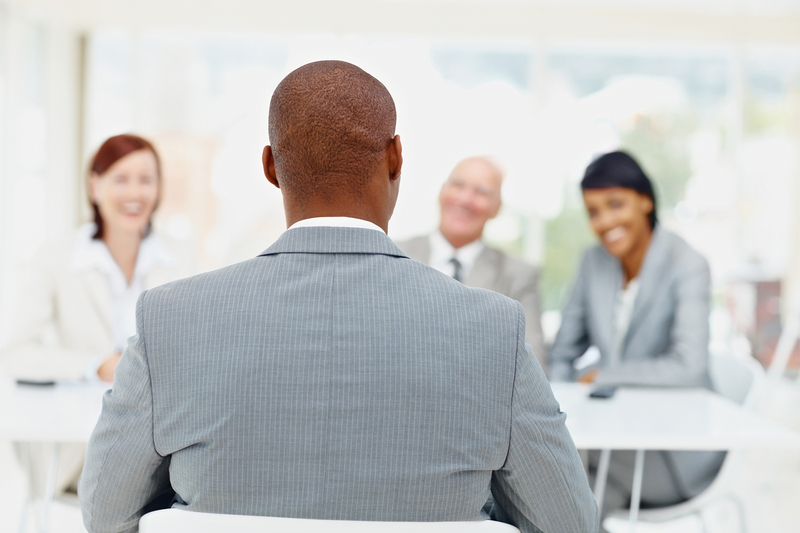 Basic manners are the foundation for a good board interview. Memorize the names of who you’ll be meeting. Men should wear a suit and tie with minimal fragrances; women should wear a suit or dress and minimal makeup, jewelry, and fragrances. Keep it simple. Avoid oversharing which could lead to divulging information that will work against you. Answer the board’s questions without too much detail. Don’t ask questions. Keep the conversation simple, polite, and to the point. Prepare for questions designed to push your buttons. Someone on the board may try to push your buttons to see how you react. Keep cool. Don’t become defensive. Answer calmly to show you are even-tempered. Don’t ask for feedback. Avoid asking the board members how you did, what they thought, or if you’re in. Thank them and wait patiently. You should expect to hear back from the board through your agent within a week. Finances. It’s the job of the board to ensure all residents have the financials to keep the building in good standing. Prepare for questions to clarify how financially stable you are, and don’t be surprised by questions about any flags in your finances. Do you have enough money to live here and make timely payments every month? Are you prepared for any increases in the maintenance due to unforeseen repairs? Please tell us about why you have this negative record on your credit history. Your interest in the building and neighborhood. Your answers should reflect your affinity to the building and neighborhood, willingness to follow the co-op rules, interest in participating in the board (one day), and financial stability. Be sure you know the rules, avoid mentioning anything about moving for financial reasons, and avoid mentioning anything you dislike about the building. What do you think of the building? Why do you want to live in the building? Do you know/understand the rules of the building? Would you consider being part of the building board? Do you have questions about living in the building? Work. The board wants to ensure that your job is stable. Accentuate the positive regarding your work life and avoid sharing anything you dislike about your current job. If asked, clarify that your home will be used only for residential purposes (with the occasional work from home day, if applicable). Will your home be used for business purposes? Home life. Co-op boards want quiet, clean, and respectful neighbors. When answering the board’s questions, keep in mind that they are seeking applicants whose schedule, noise levels, habits, and guests won’t disturb other residents. If they ask you about your plans to renovate, simply let them know you have no immediate plans of renovating the home. If they ask you about how frequently you like to have parties or out-of-town guests, let them know you have occasional dinners with close friends but not many out of town guests. Are you planning on doing renovations? Do you frequently have out of town guests? Hobbies and Interests. Any interests you have that would likely disturb your neighbors are best kept to yourself at this time. Reading, writing, painting, and other “quiet” activities are perfectly suitable hobbies to disclose during your interview process; playing the drums, hosting salsa dancing sessions, and your love of heavy metal are best kept to yourself. What social organizations are you involved with? Background. It’s illegal to reject co-op applicants based on race, gender, marital status, national origin, citizenship, sexual orientation, military status, disability, alienage, color, or choice of lawful occupation, so some of the board’s questions may seem intrusive. If they skirt the issues, simply answer vaguely and honestly. Pets. Buildings that allow dogs want to make sure the pet won’t be a nuisance or a danger to residents. A pet interview may be required. Can your pet be touched and held? Does it have a history of biting? Once you have prepared in advance, the key to your interview is to appear relaxed and likable. Best wishes to you! You will do great! Contact me here for assistance with buying or selling a home in New York City. Selling a home in New York City can be a daunting task, so it’s important to be prepared before listing a home. 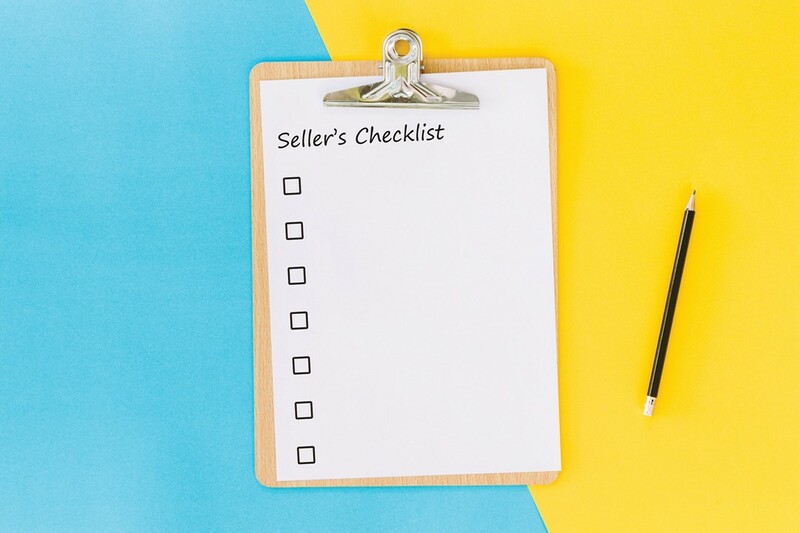 In order to help you in your sales journey, we’ve put together a Seller’s Checklist meant to help manage your expectations and make your home selling experience as seamless as possible. Understanding your home’s value and educating you on the market: market conditions change frequently and a well-experienced agent can guide you on what to expect considering current conditions. Pricing your home appropriately based on the condition, location, comparables, and recent market trends: a well-priced home will sell quickly and may attract multiple offers. Creating an effective and wide-reaching marketing strategy that will garner the attention of potential buyers worldwide: the audience you reach is expanded exponentially when working with a real estate agency. Developing elegant and high-quality marketing materials including photography, brochures, mailers, digital ads, print ads, videos, social media exposure, and websites when appropriate: marketing matters and should be done right the first time. Pitching public relations when appropriate: for press-worthy properties, agents can secure PR that will amplify your home’s exposure. Coordinating all open houses: agent-run weekend and weekday open houses take the headache (and emotion) out of showing your home for sale. Fielding all inquiries and reviewing potential buyers’ qualifications: most New York City homes get a lot of inquiries before the right buyers walk through the door. Negotiating on your behalf: expert negotiation skills make all the financial difference. Since you’ll likely be spending a lot of time with your agent, select someone with whom you get along well and whose communication style matches yours. The market fluctuates frequently in New York City, and the potential asking price for a home can vary on a floor-to-floor, line-to-line, and block-to-block basis. Keep up with market trends by reviewing quarterly market reports for insight into where your asking price point should be. Your agent will advise you on price, but reviewing the market will help you understand what neighborhoods and home sizes are in highest demand, as well as how long you can expect your home to be on the market before selling. Getting a home inspection will allow you to mitigate issues hurting your home’s value. Anything from a leaky faucet to faulty wiring to damaged blinds will lower the actual and perceived value of your home. Repairs should either be handled before showing, or items in need of repair should be disclosed in the property description. Similarly, find out everything there is to know about your building’s financials, any upcoming construction, needed repairs, land leases, bed bug incidents, and board requirements. Your level of transparency and disclosure could make or break a deal. Shine the floors: a good coat of wax is a must for sprucing up your home. Declutter your home and depersonalize the space: Excessive furniture, clothing in closets, family portraits, books, shampoos, razors, and other personal items take away from the ‘blank canvas’ you’re aiming to create; a good rule of thumb is to remove 50% of your belongings before showing the home. Freshen up the bathroom: Reglazing your tub and shower walls is a great way to freshen up the bathroom on a small budget, be sure any broken tiles or areas needing recaulking are taken care of, and buy new bathroom accessories and fixtures for an updated feeling. Clean like you’ve never cleaned before: Every nook and cranny of every room, closet, and cabinet should be deep-cleaned like never before; the home should also smell fresh when visitors arrive. Lighten up each room: the neutral paint colors will help, as will table and floor lamps with warm light bulbs to create a soothing atmosphere. Listing your home for sale doesn’t have to be a mysterious process. With the right agent, the right marketing plan, and the right presentation, your New York City home will attract qualified buyers and you’ll be glad you invested in the market when you did. It’s a great time to sell in New York City, and it’s a great time to buy as well. Contact me to start your search for your next home today!